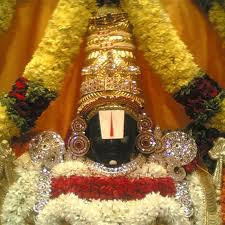 Here is Some Information about Tirupati Balaji Temple in Andhra Pradesh India. 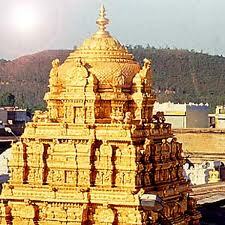 Tirupati is situated at 67-km from Chittoor in the state of Andhra Pradesh,India. 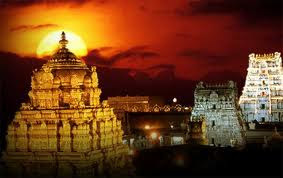 Tirupati is one of the important pilgrim centres in India. The ancient and sacred temple of Sri Venkateswara is located on the seventh peak,Venkatachala (Venkata Hill) of the Tirupati Hill. This historic shrine of Sri Venkateswara is famous all over the country and attracts pilgrims from all over the country who stand in line for hours together to obtain a glimpse of the presiding deity for a few fleeting seconds. The shrine is located on a hill at Tirumala,a cluster of seven hills known as Seshachalam or Venkatachalam with an elevation of 853m (2,800ft.) above the sea level. It is said to be the richest temple in the world. This temple is a vibrant cultural and philanthropic institution with a grand history spanning several centuries. All the great dynasties of rulers of the southern peninsula paid homage to Lord Sri Venkateswara in this ancient shrine. The Pallavas of Kancheepuram (9th century AD),the Cholas of Thanjavur (a century later),the Pandyas of Madurai,and the kings and chieftains of Vijayanagar (14th - 15th century AD) were devotees of the Lord. 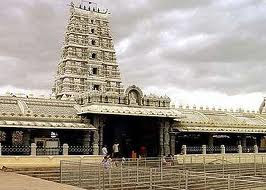 Tirupathi is a fine example of dravidian temple architecture. The 'gopuram' or tower of the Tirupati Temple shows a characteristic feature of Dravidian architecture. The 'Vimana' or Cupola over the sanctum sanctorum is covered entirely with gold plate and is known as "the Ananda Nilayam". The Shrine consists of three 'Prakarams' or enclosures. The outermost enclosure contains the 'Dhvajastambha' or the banner post and,among others,the statues of Vijayanagara king Krishnadevaraya and his consorts,and of Todarmal,the minister of Akbar. The idol of the deity,the full figure of Lord Venkateswara or 'Venkataramana' or 'Srinivasa' or 'Balaji' has the attributes of both Vishnu and Shiva,preserving and destroying aspects of the Hindu Trinity. There is ample literary and epigraphic testimony to the antiquity of the temple of Lord Sri Venkateswara.All the great dynasties of rulers of the southern peninsula have paid homage to Lord Sri Venkateswara in this ancient shrine. The Pallavas of Kancheepuram (9th century AD), the Cholas of Thanjavur (a century later), the Pandyas of Madurai, and the kings and chieftains of Vijayanagar (14th - 15th century AD) were devotees of the Lord and they competed with one another in endowing the temple with rich offerings and contributions. It was during the rule of the Vijayanagar dynasty that the contributions to the temple increased. Sri Krishnadevaraya had statues of himself and his consorts installed at the portals of the temple, and these statues can be seen to this day. There is also a statue of Venkatapati Raya in the main temple. In 1951, the Act of 1933 was replaced by an enactment whereby the administration of TTDC was entrusted to a Board of Trustees, and an Executive Officer was appointed by the Government . The provisions of the Act of 1951 were retained by Charitable and Religious Endowments Act, 1966. There are number of small shrines inside the premises apart from the main sanctum sanctorum. The entire temple is constructed in Dravidian style. There are three enclosures which are called 'Prakarams' and a dome on the main shrine called as ''Vimana'. Other main attraction of the temple are the statues of Vijayanagara King Krishnadevaraya and his spouse. The idol of the deity, the full figure of Lord Venkateswara or 'Venkataramana' or 'Srinivasa' or 'Balaji' has the attributes of both Vishnu and Shiva, preserving and destroying aspects of the Hindu Trinity. It is estimated that every day around 60000 pilgrims visit the temple everyday and on any special day, the number easily touches 200000 mark. People have to wait in long queues to get a view of the deity completely ornamented from tip to toe. Devotees have to take a dip in the Pushkarini tank, the waters of which are considered sacred and highly praised in the Puranas before entering the temple. The day starts with the suprabhata darshanam as early as 3 AM and ends with the ekanta seva around 1 AM when the Lord is put to bed in a velvet mattress spread over a swing cot suspended by gold chains. The annual festival, Brahmotsavam is celebrated with great pomp and festivity for nine days in the months of September. The festival attracts pilgrims from all parts of India and abroad. The fifth and the ninth day holds the Garudostavam and the Rathotavam festivals respectively. 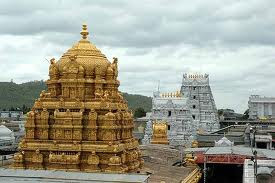 There are many temple must visit is closed from Tirupati Balaji Temple are Sri Bhu Varaha Swamy Temple, Sri Bedi Anjaneya Swamy Temple, Sri Padmavathi Devi Temple, Sauanrri Prasanna Venkateshwara Swamy Temple, Sri Govindarajaswami Temple , Sri Kapileswara Swamy Temple, Sri Kodanda Ramaswamy Temple. 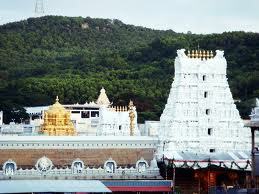 By Road : Tirupati temple can be reached from Tirupati by bus services. It is linked with important cities like Hyderabad, Banglore,Chennai,, Vijayawada,and Lepakshi through good roadways. By Rail : Tirupati temple is well connected by roads and proper transport services to the nearest railway station situated at Tirupati. It is connected with Hubbi, Hyderabad, Chennai, Kolhapur etc. By Air : The nearest airport is at Renigunta 15 km from the temple. Tirupati is connected by air with Hyderabad, Chennai and Bangalore. 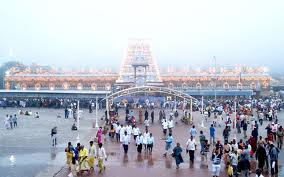 These are very popular and beautiful places of Tirupati.You have an easiest way to book your Trip with your friends and family and you will have guidance too. cargo services across major cities in South India.